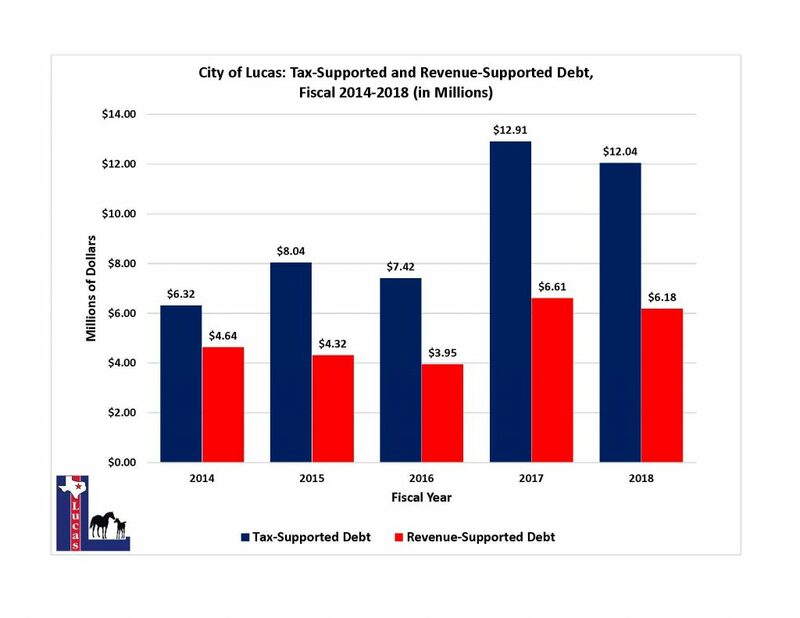 City of Lucas outstanding direct debt is comprised of Certificates of Obligation, General Obligation Refunding bonds, and a Capital Lease. 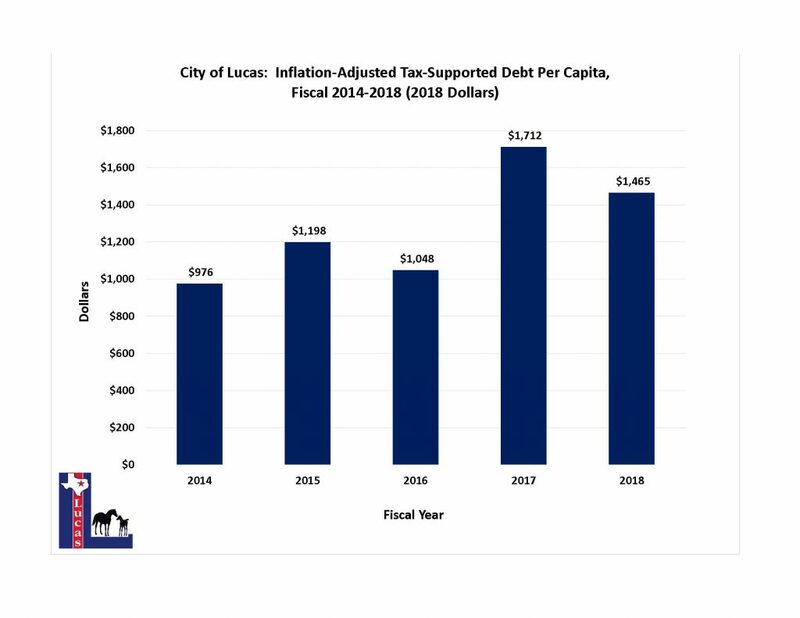 The total amount of tax supported debt for the City of Lucas, as of September 30, 2018 is $12,042,822 and revenue supported is $6,179,189. Total tax supported debt obligations expressed as per capita is $1,515. Certificates of Obligation are typically issued without voter approval (unless a referendum is petitioned) and backed by tax revenue, fee revenues, or a combination of the two. The City's COs are secured by a combination of property taxes and a limited pledge of the City's water system. City of Lucas Certificates of Obligation have been rated AA+ by Standard & Poor’s (S&P) Standard & Poor's CO Rating Report June 26, 2017. 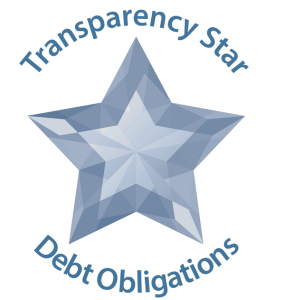 The 84th Legislature passed HB 1378 to increase the transparency of local government debt. Under political subdivisions including cities, annually compiling of their debt obligation data from the preceding fiscal year is required. Debt Issue History (The City’s debt is comprised of Certificates of Obligation and a Refunded bond which do not require a bond election. 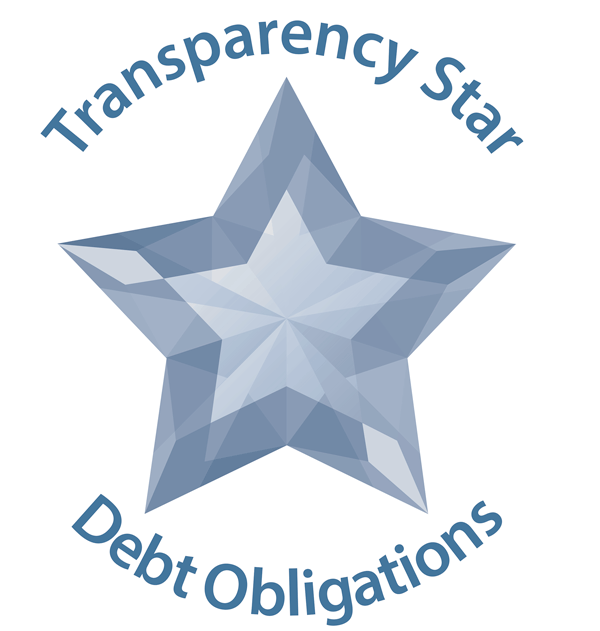 The outstanding debt was authorized by the City Council and can be viewed by clicking the “Debt Issue History” Link. Bond Election History - The City has not held any bond elections; therefore does not have bond election history.